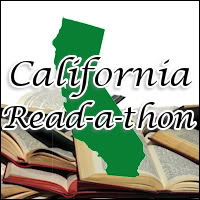 Mark your calendars, tell your friends, and get ready for the California READ-A-Thon on April 16 and/or 17. California School Library Association member and San Marcos High School Teacher Librarian Helen Murdoch has details. Library staff may also choose to participate in hourly mini-challenges on Saturday (just quick, fun games related to books) and win prizes from various publishers.